Walking out on the shores of Rennell Sound earlier this week we passed an array of cultural artifacts. Each was a curious snapshot of human activity, but with varying longevity and visual appeal. A culturally modified tree. This one has had the bark stripped on one face. 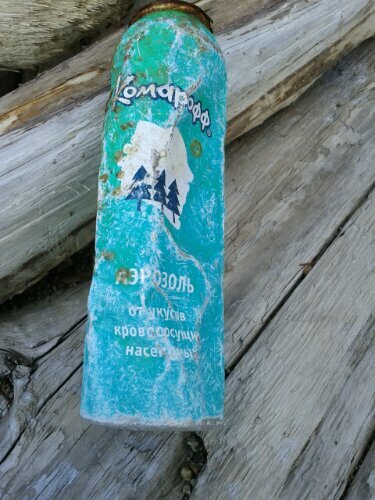 An old spray can with Russian writing. What tale could this trash tell? 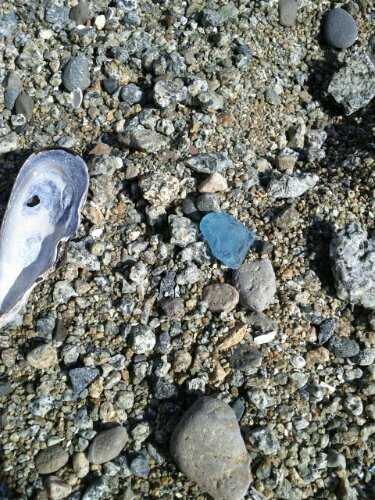 A piece of light blue beach glass. Not many bottles are this colour anymore. Could it be part of an old Japanese fishing net float? As I walked passed each of these things I found myself pondering the sometimes blurry lines between anthropology and rubbish. 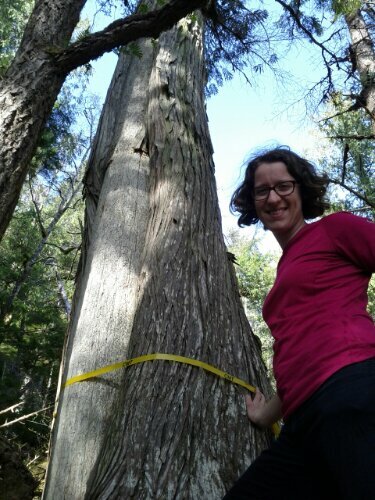 This entry was posted in Haida Gwaii, Ramble and tagged culturally modified tree, Rennell Sound, rubbish, sea glass, Tess. Bookmark the permalink. I’d hazard to say that the only difference is time. I agree with S.Ball: anthropology = garbage + time. Then we call them “middens”.